phase transition that is significant for fundamental condensed-matter physics as well as quantum information science. 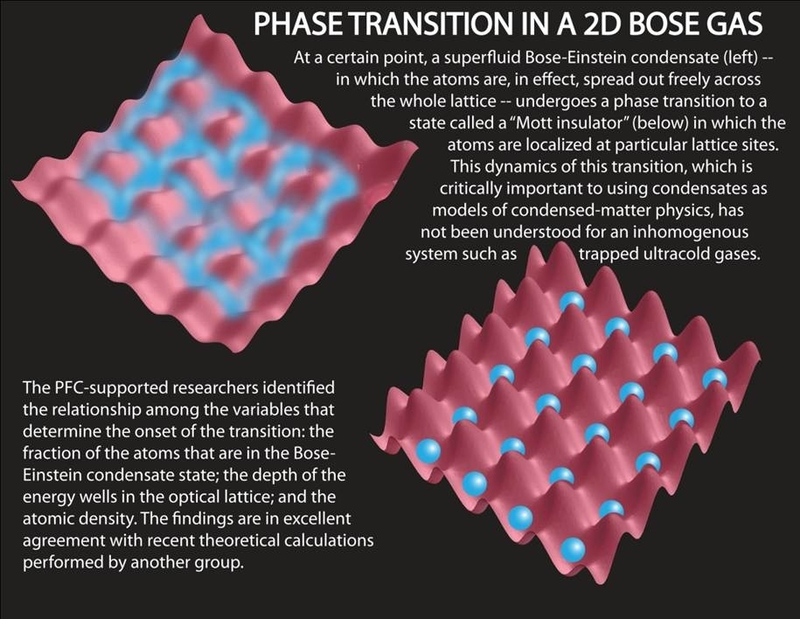 The traditional model used to describe the state of ultracold atoms in an optical lattice – the Bose-Hubbard model – is limited by the fact that it only describes homogeneous systems. But ultracold atomic gases in a lattice are, in fact, “globally” inhomogeneous. That is, they contain different phases at different locations because of the nature of the trap.